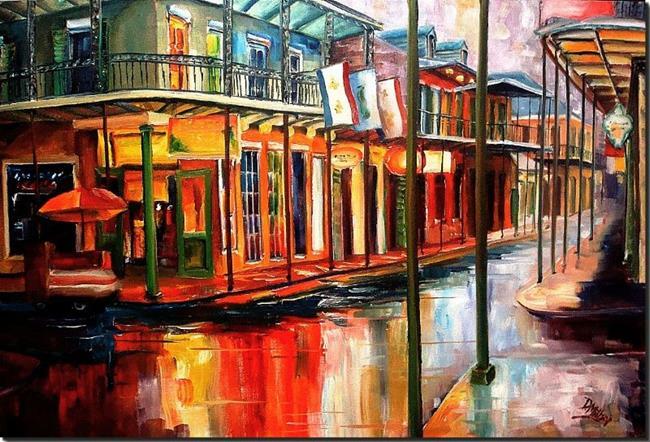 I painted this view of New Orleans after getting caught in a warm Louisiana rain on Bourbon Street. The happy mood of the day was unchanged. Tourists were undaunted by the downpour, and the neon lights shown as brightly as ever!